Are you trapped in your marriage because you can’t afford an expensive Canadian divorce? Are you finding that divorce law in Canada is complicated and confusing? Are you struggling to handle your Canadian divorce, and need some affordable help? Explaining likely outcomes in court. Don’t see what the area that concerns you? Don’t worry. Whatever questions you have about divorce in Canada, we’ll answer. Whatever forms confound you, we’ll fill out. In short, we’ll provide customized coaching…at a cost that’s been tailored to suit your budget. You’re in charge…of your case and your legal bill. When a divorce case goes to court, the legal fees can run into the tens of thousands of dollars. Even for a separation that does not go to court, the legal fees can still be quite expensive. I understand the high costs of a Canadian divorce, and know that any money my clients spend on lawyers is taken away from them and from their children. With Divorce Coaching, you pay only for what you need, only when you need it. My goal is to ease the financial burden of divorce for you so that you may move on with your life. That’s the philosophy behind my Divorce Coaching and the reason this service was created. Perhaps you and your spouse are attempting to resolve amicably the issues arising out of your separation. 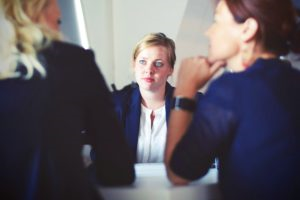 The two of you are able to negotiate the issues, but are unable to understand how the law applies to your specific case, or what range of outcomes could happen if your case went to court. You’re a perfect candidate for Divorce Coaching. With Divorce Coaching, you could work with us to understand how the law applies to your case, consult with us when you and your spouse get stuck in negotiations, get us to review your spouse’s financial disclosure, or ask us to draft a separation agreement. If you and your spouse are at odds, you could be looking at legal fees in the tens of thousands of dollars to protect your interests. And without a legal degree of your own, you’re really not equipped to go through the process or handle any of the problems that may arise. You’re a perfect candidate for Divorce Coaching. With Divorce Coaching, you can have us prepare your court documents, help you prepare for your court arguments, advise you on the information you need disclosed from your spouse, and inform you of court procedures. Is Divorce Coaching Right for YOU? Divorce coaching is not right for everyone or every case. When a case is complex, it’s generally best to let an expert handle it. But if your case is reasonably straightforward, you should be able to handle it yourself with help from Divorce Coaching. In addition to the nature of your divorce case, your personal skills and abilities will play a large part in your successful handling of it. Are you able to gather and organise information? Are you a do-it-yourself, self-help sort of person in general? Are you able to make tough decisions? If you said “Yes” to the questions above, Divorce Coaching may be right for you.